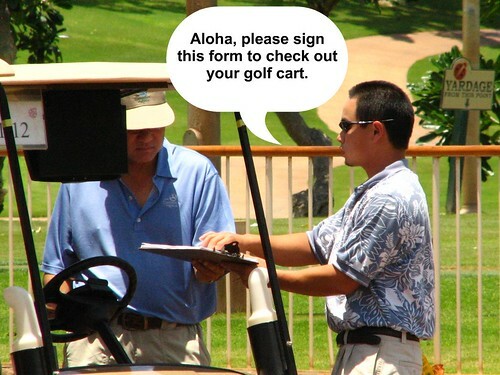 Aloha, please sign this form to check out your golf cart. This is to be signed by the driver of the cart, please sign in Romaji. You are responsible for any damages to this cart by signing this form. 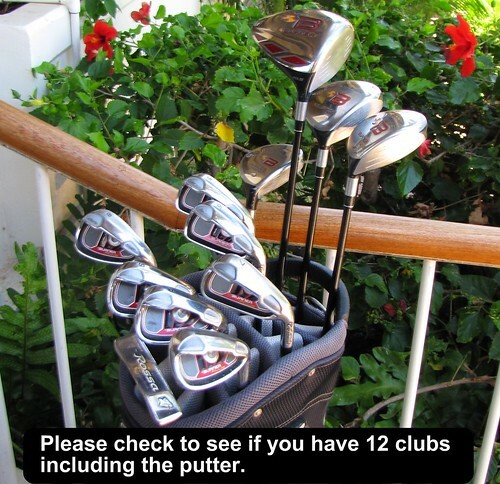 Please check to see if you have 12 clubs including the putter. it will cost $125 iron, $150 wood, and $175 Driver. Do I tee off on the front nine or the back nine? 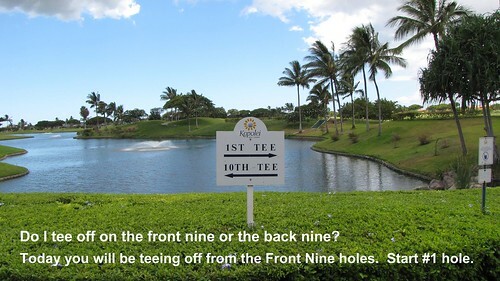 Today you will be teeing off from the Front Nine holes. Start #1 hole. May I go in the fairway with my cart ? 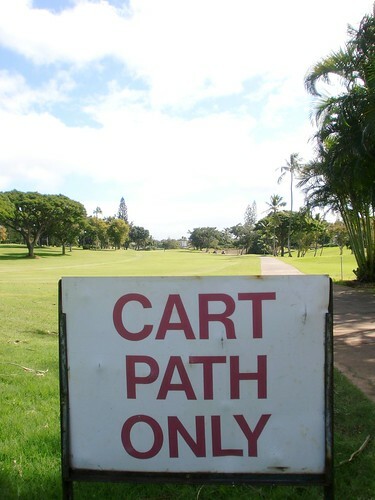 Yes, you may go on the Fairway with your cart.